From Waialua, Hawaii, Rowley was ranked the #11 best offensive guard in the nation and a 1st-team All-State selection. He went on to play college ball at BYU. 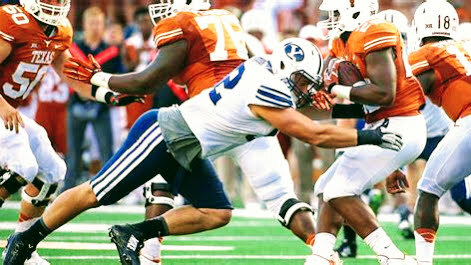 Rowley was a 4-year letterman for the Cougars on the defensive side of the ball, playing in 47 games at DE/DT. He recorded 59 tackles, 4 sacks, 5 pass breakups, 8.5 tackles for loss and a forced fumble. He was also named to the Phil Steele’s Pre-season All-Independent 2nd team. Rowley also had a solid Pro Day, running a 4.81 40-yard dash, 31.5 inch vertical, 4.44 20-yard shuttle, 9’3″ broad jump, and 27 reps at 225 bench. Undrafted, Rowley signed on with the Green Bay Packers in 2016. In 2018, the 6’4″, 280 lb will suit up for The Spring League, looking to showcase his skills to all scouts in attendance.